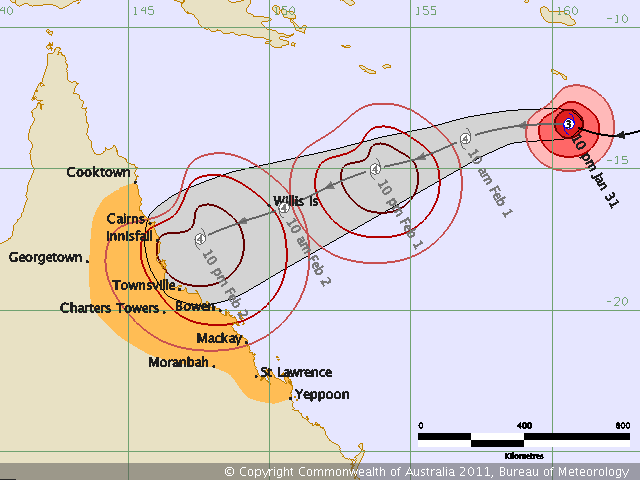 The first BoM track/threat map has been issued by BoM despite it not quite being in our area yet. 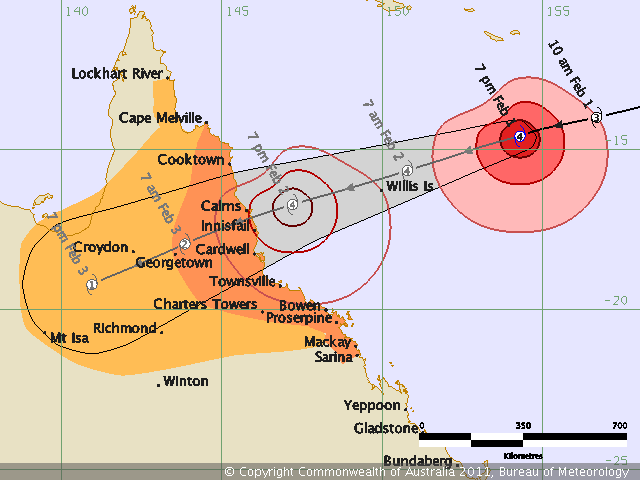 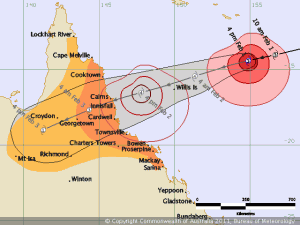 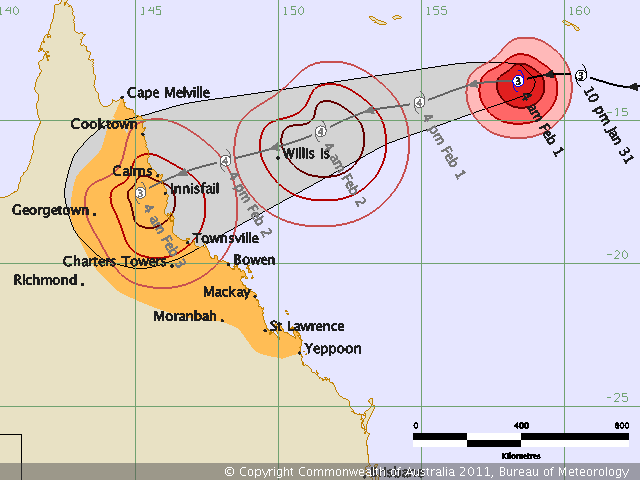 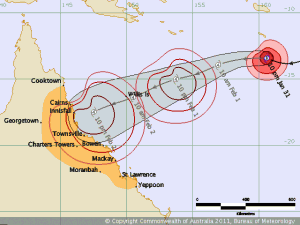 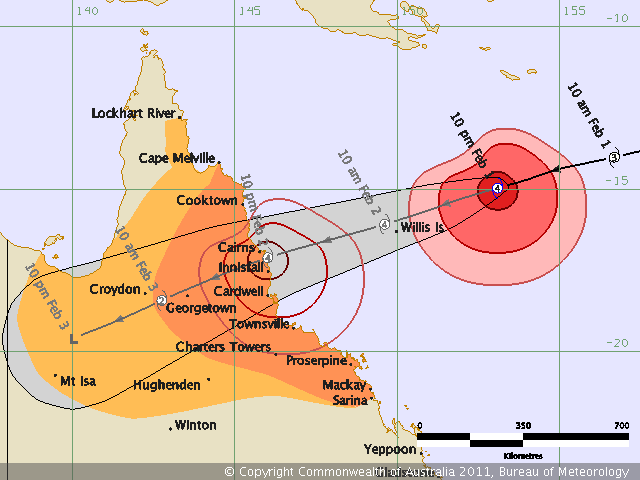 A Cyclone Watch has been declared for coastal and island communities from Cooktown to Yeppoon. I’ll try and keep this post updated as new information becomes available. 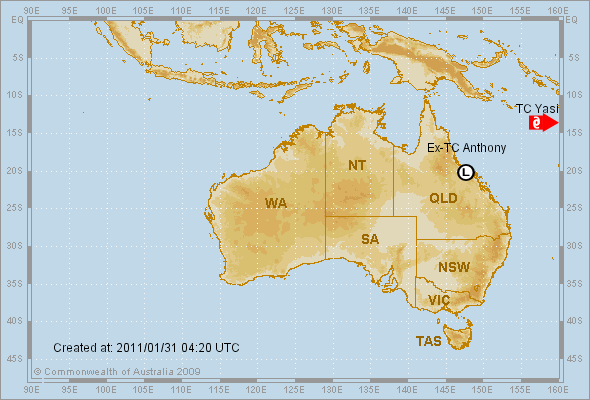 It’s the “big, ugly sister” of Cyclone Anthony, according to QLD Police. 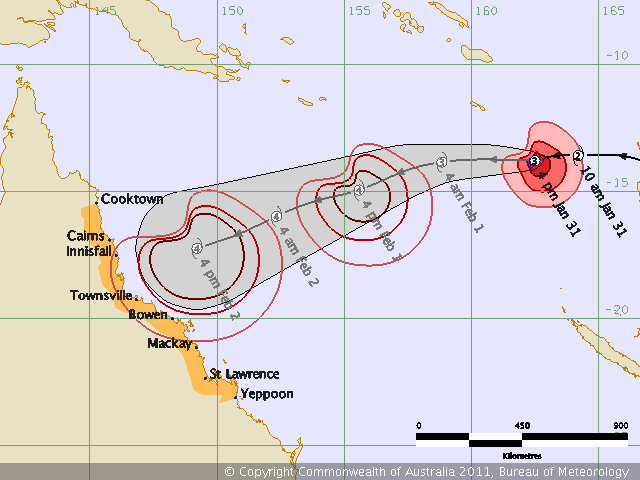 Quite an apposite description, I’d say. 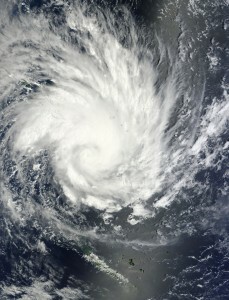 NASA has a new article about Yasi with a good satellite image. 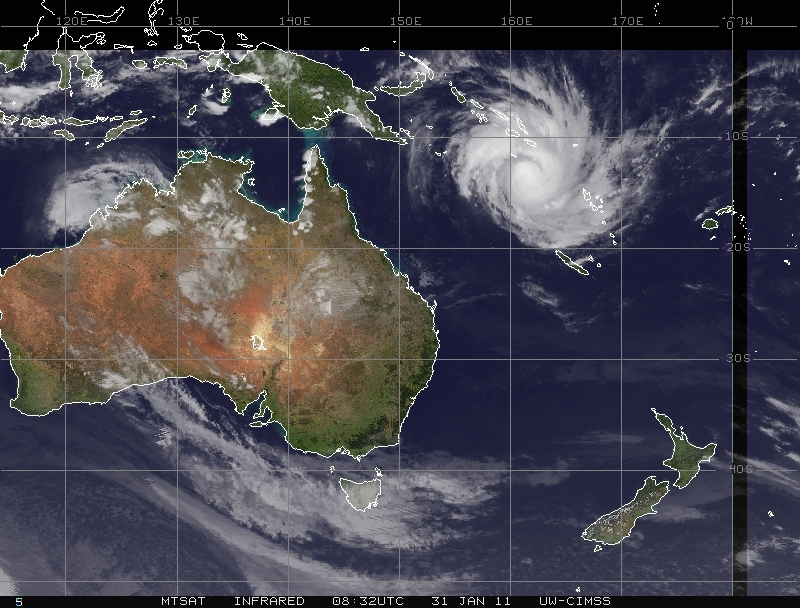 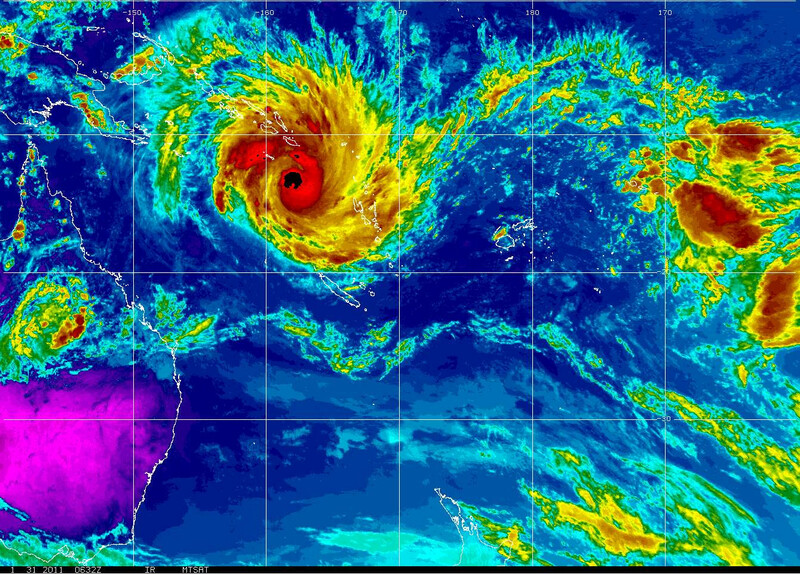 Excellent satellite and radar timelapse vid of Cyclone Yasi. 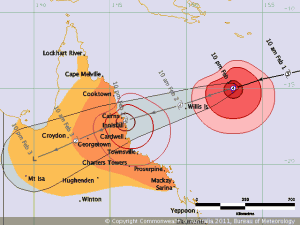 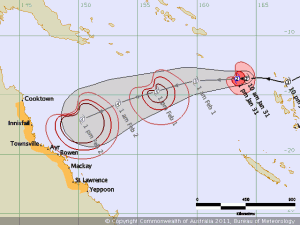 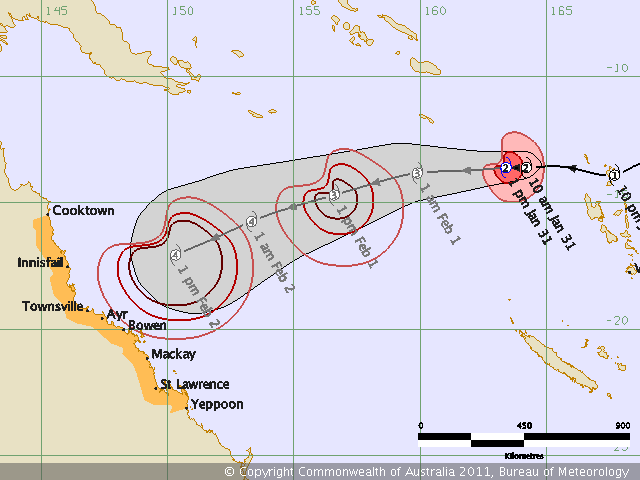 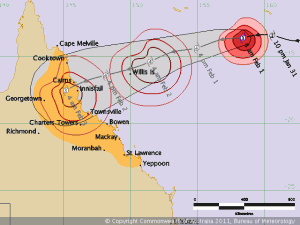 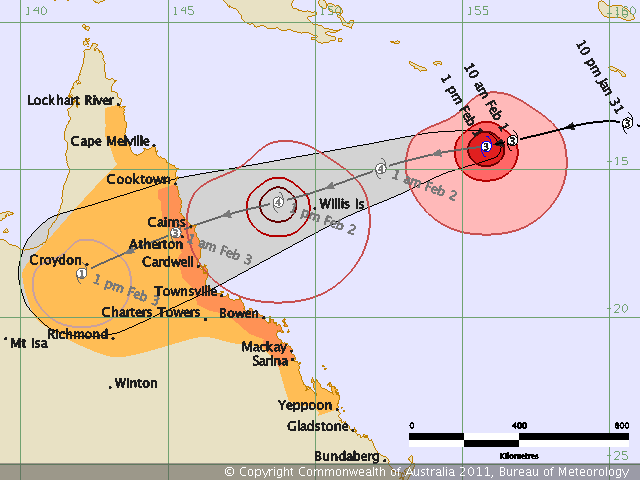 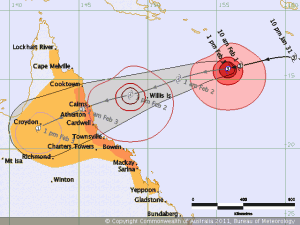 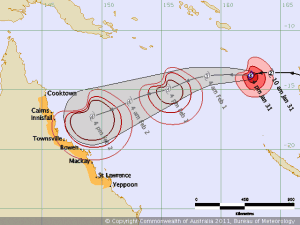 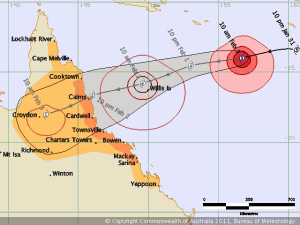 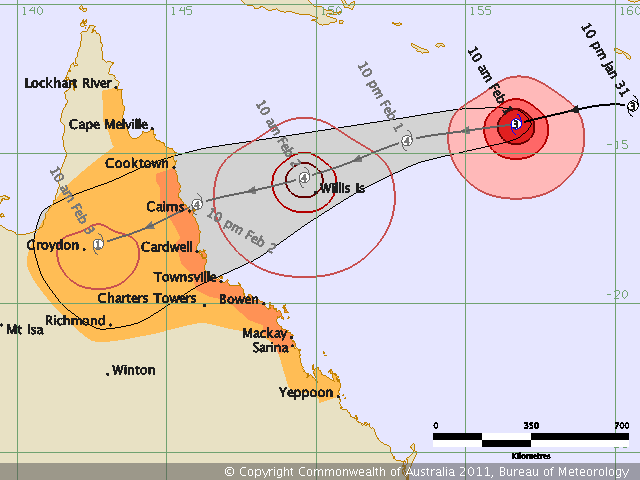 This entry was posted in Cyclone Yasi, Weather and tagged australia, cyclone, cyclone season, cyclone yasi, far north queensland, fnq, track map, Weather on 2011-01-31 by pete.